Learn about your mouth’s biggest enemies! Your mouth is full of bacteria – over 700 different strains, to be exact! And while this might sound gross or even scary, most of these bacteria are completely harmless and even necessary… and the bad bacteria can be managed with good oral hygiene care. 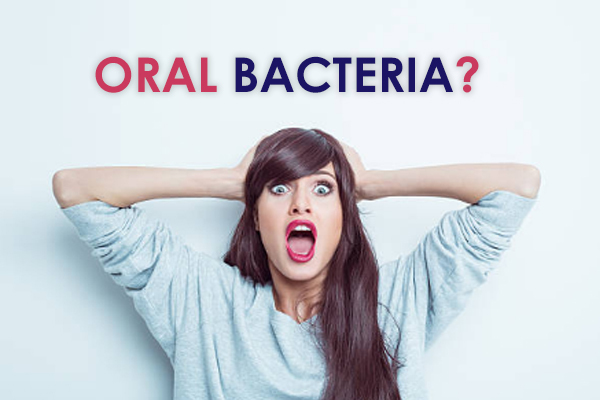 Oral bacteria is present in biofilm, a substance that forms and accumulates on the teeth – and this requires removal through daily brushing and flossing, and with the help of a hygienist every 6 or so months. (P.S: if it’s been a while since you’ve had a cleaning, call our Milton dentist today)! When biofilm is not removed from the teeth regularly, you’re actually putting yourself at a high risk for cavities and gum disease. Yuck! Responsible for causing tooth decay and cavities, s. mutans thrive off of the sugars and carbohydrates you consume, creating dentally destructive acids which attack your precious enamel. Yeah… we’re not the biggest fan. The interesting thing is, we aren’t actually born with s. mutans present in our mouths, and are typically first introduced to it when we’re infants – receiving it from our mother or primary caregiver. Yep, essentially everyone has strep mutans… we unfortunately can’t run from this one! P. gingivalis is a bacteria that has a strong link to periodontitis, the final stage of gum disease that puts the teeth at risk for becoming loose and falling out. So essentially, s. mutans pose a threat to our teeth – and p. gingivalis pose a threat to our gums. This nasty bacteria is also correlated to other chronic inflammatory diseases.